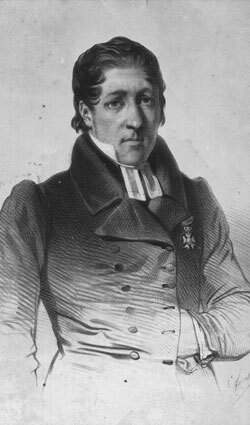 Lars Levi L�stadius was a priest at Karesuando from 1826 to 1849. He had S�mi family himself and unlike many other priests he was positive towards the S�mi language and culture. He was interested in the worldly conditions of the S�mi and believed that priests and other representatives of the authorities should be able to speak the S�mi language. Because he could see that alcoholism was the cause of social distress among many S�mi, L�stadius began to urge a new Christian life. He was a charismatic person who awoke strong feelings when he preached against immorality and alcohol. This gradually grew into a wave of awakening, l�stadianism. L�stadianism became very significant for the S�mi as a group. L�stadian meetings were characterised by emotional outbursts and gave a feeling of solidarity. To an oppressed minority, this was important. L�stadius� insistence on using the S�mi language also brought self confidence. In many ways L�stadius was responsible for the preservation of the language and many other aspects of the S�mi culture right up to the present day.